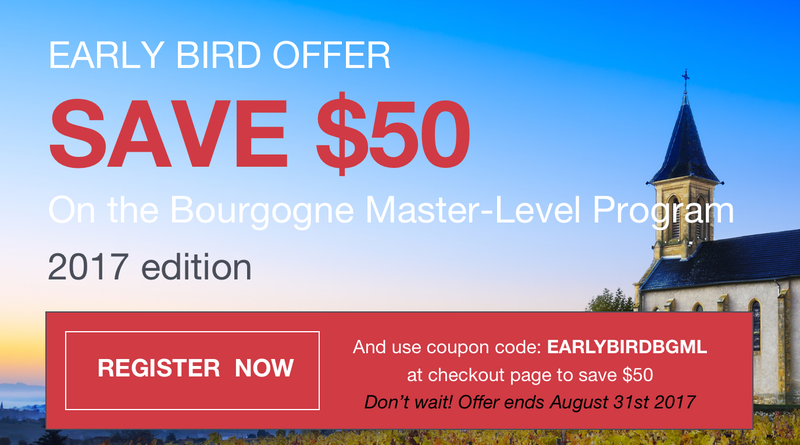 Bourgogne Master-Level Program 2017 edition - Early bird ends tomorrow! 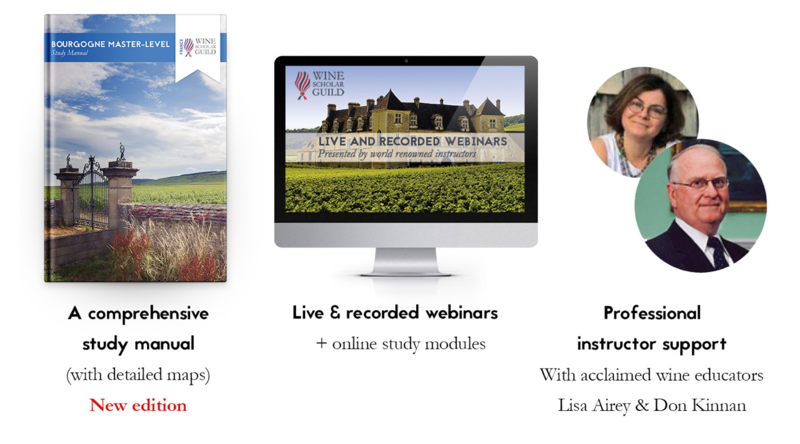 We are thrilled to announce the launch of the fully-updated and BIVB-endorsed Bourgogne Master-Level Program in live online-classroom format starting Tuesday, October 3rd 2017. The regular price is $495 but you can save $50 if you sign-up by August 31st 2017 when using coupon code: EARLYBIRDBGML at checkout page. An additional 10% discount applies for WSG members. 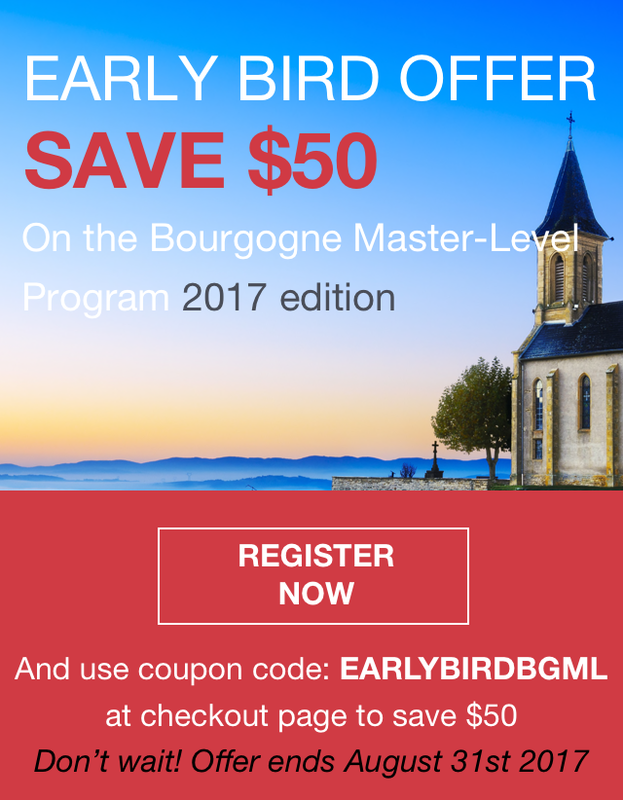 Created jointly by the Wine Scholar Guild and lead instructor, Don Kinnan, CWE, the Bourgogne Master-Level program is an official course of study designed to provide committed students of wine with the most advanced and comprehensive specialized study program on Bourgogne wine bar none; it is endorsed by the Burgundy Wine Bureau - BIVB. After completion of this program, an educator, sommelier or wine enthusiast can teach, sell or enjoy Bourgogne wines with poise and confidence. 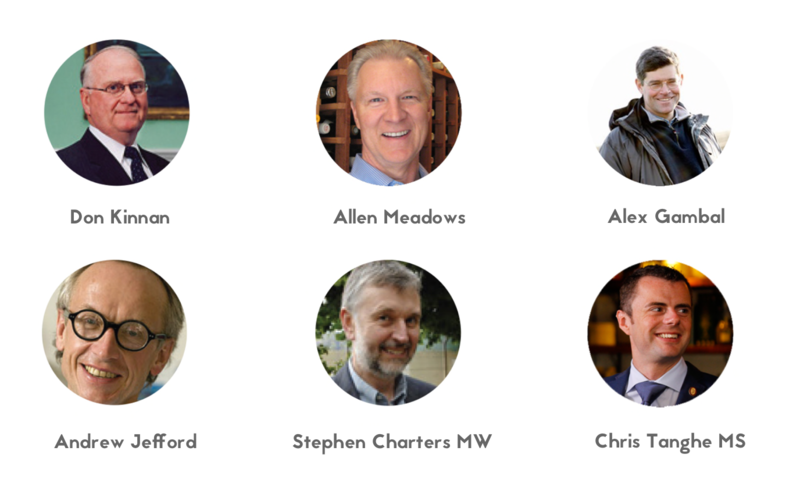 Study Under True Bourgogne Experts and Masterful Instructors..